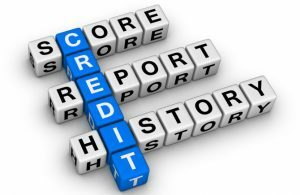 The Fair Credit Reporting Act (FCRA) requires credit reporting agencies (CRAs) and the businesses that report to these CRAs to conduct an investigation if a consumer disputes something on his or her credit report. Under the law, the investigation must be a reasonable investigation. Problems arise because the investigations are often cursory. Even more significantly, problems often arise because the investigation system that is used is not really able to correct a significant portion of the most serious errors that appear on credit reports. Credit reporting involves huge corporations. The credit reporting agencies (CRAs) are massive entities that employ thousands and generate billions in revenue. The businesses that report to the credit reporting agencies are also often huge corporations with massive resources. Credit reporting is not as highly regulated as some other industries. Instead, Congress, by passing the FCRA, allowed the industry to be more lightly regulated provided the industry implement a system that, Congress said, should correct reporting errors. Congress determined that such a system was needed because errors in credit reporting, in addition to causing great strife to individuals, compromised the U.S. banking system and the economy. But setting up a system that really works takes money. And often the huge corporations involved in credit reporting are less interested in correcting errors than in spending as little money as possible on the investigation system. The investigation system does not increase their profits, but rather operates as a profit drain. As a result, evidence that has surfaced in FCRA lawsuits has time and time again revealed that investigations are often allotted only a few minutes with very little resources expended. Sometimes the investigators operate under quotas or compensation systems that lead them to spend very little time per dispute. Unfortunately, in the credit reporting world, the consumer gets what the corporations pay for, and corporations have often been shown to not pay enough to implement an effective system. Another way the investigation system is shortchanged is that it is highly automated. The CRAs use partial matching logic, allowing the credit records for persons with similar names and similar social security numbers to become inextricably mixed up. Also, your dispute is often reduced to a 3 digit code – for example, one that stands for “not his/hers.” Although you may have explained in detail the nature of your dispute in a dispute letter, sometimes nothing is sent to the investigator other than the 3 digit code. Other times the code that is sent may be wrong, mischaracterizing the dispute. And often the only “investigation” is to verify data conformity; for example, to compare the social security number on the account to the social security number under which it is being reporting to the CRA. It is easy to see how such a system will fail when the nature of the dispute is identity theft, where the thief has stolen a social security number, or, as is sometimes the case, where the credit card company never obtained a social security number to open the account in the first place. Another way the investigation system is faulty is that the investigation functions are often outsourced overseas. The corporations use persons sitting at computer terminals in India and other foreign countries to make decisions on what happens with consumer investigations. These persons are often poorly paid and poorly trained. Treinen Law Office – located in Albuquerque, New Mexico – is experienced in handling FRCA lawsuits on behalf of consumers. If you are unable to get relief from the faulty investigation system put in place by the CRAs and the huge corporations, perhaps we can help. Give us a call at (505) 247-1980 or contact us through our website. We will listen. Treinen Law Office will hold all information submitted on our forms in confidence. We will not reproduce, distribute, disclose, sell, share, transmit, directly or indirectly any of your information, for any reason. Be assured, we will take every step possible to make sure your information is kept accurate and secure. Your privacy is of utmost importance to us.